We have put together a list of the most popular places you can visit Father Christmas and his elves in Cornwall this Christmas, 2018. Good news, there is no need to take the family all the way to the North Pole to visit Father Christmas. In Cornwall, he can be found at lots of fun festive places to make your Christmas break special. A St Ives Christmas tradition, Father Christmas will be arriving by lifeboat with a little help from his friends at the RNLI. Santa will ride the high tide and greet a harbour front full of hundreds of people waving him in. The Mayor is there for a special greeting and then Santa and the elves will ride his sleigh around the harbour to say hello to all the families. 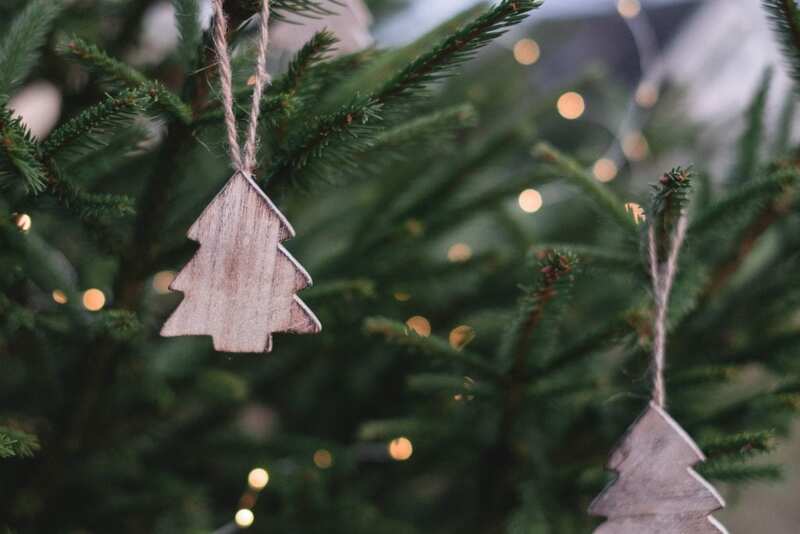 See our ‘Christmas in St Ives guide’ and explore more festive activities in the town. Tucked away in his Ice Palace Grotto on the Wharf, visit Father Christmas and his elves and whilst the family waits there is face painting, juggling, snowflakes and the beautiful St Ives Mermaid is making a special appearance. Imagine a sea of red Santa uniforms running through the streets of Falmouth. Every year, all the Father Christmas’s run, jog, dance and walk either 1.5 km or 3km to support Cornwall Hospice Care. To take part, you register your name and get a FREE Santa suit, families are more than welcome to enter. AT the finish line you get a very special medal along with a well-deserved mince pie. 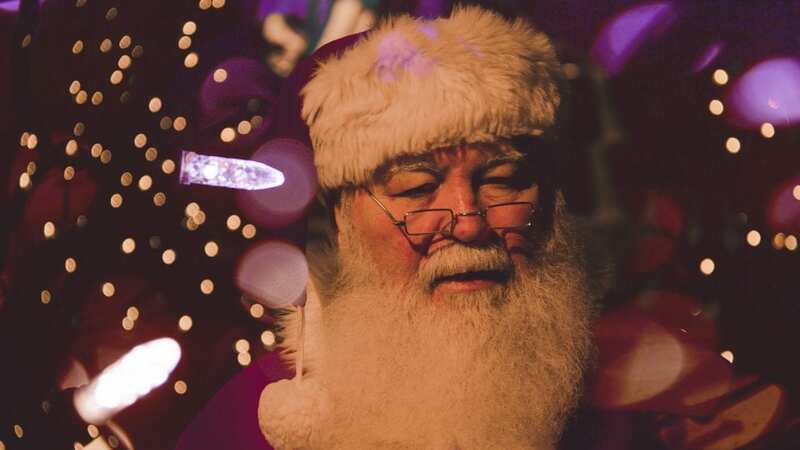 Starting with mince pies, Christmas carols and seasonal drinks on the Bodmin general station platform, Santa will be waiting on the train in his grotto. Climb aboard for an hour-long ride and experience the magical elves and make your way to Father Christmas, have your photo taken and receive a special gift. Santa has chosen a new place to visit this year and will be in Redruth, so the family can meet Father Christmas in a cosy reading corner surrounded by his elves for FREE at the Redruth library every Saturday in December between 10 am and 2 pm. Bring all the family aboard for a magical return steam train journey and receive a gift from Father Christmas on your individual visit to his grotto. Indulge in a mince pie (gluten-free alternatives) and a hot drink, with a mulled wine option for adults. Children’s activities such as card colouring and Christmas letter writing, are taking place with Harry Kazzam entertaining with balloon making and much more. Whilst you are visiting award-winning wildlife sanctuary Paradise Park, you can book in to see Father Christmas with his fairies and elves. With everyone having an individual visit, a quality amount of time with Santa and a gift included, Paradise Park has FREE parking to accommodate. Cost: No advance booking. Tickets available on the day from 10 am. Make the most of your trip to the Lost Gardens of Heligan this December and take the family through a magical Christmas trail to take part in Christmas craft workshops and end up in Santa’s grotto where children can show him the letter they have written. With a Christmas themed ‘sensory journey’ through the gardens and carols to add to the festive mood, The Lost Gardens offer a cosy Christmas experience. 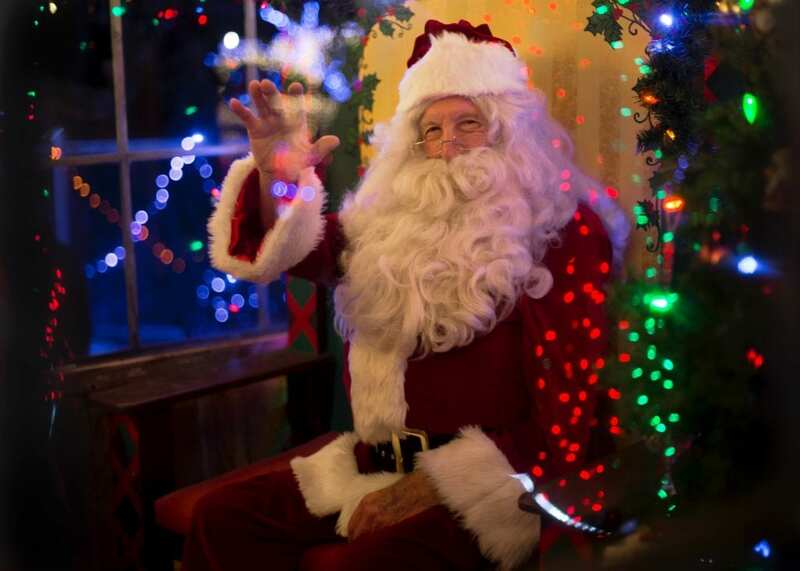 Newquay Zoo is offering lots of special Christmas activities for the family, including the all-important visit to Santa Claus. With a candy cane trail that includes a special gift once completed and a silent elf boogie disco, there is fun for everyone at the Zoo this Christmas. The Eden Project never disappoint. Children can have a sneak peek at Father Christmas’s workshop to see where the letters are kept, where the elves sleep and most importantly will sit down to have a story with the man in red himself. More relaxed, pre-bookable sessions are available for children on the autism spectrum, accommodating those with sensory, communication needs or learning disabilities. Book dates and time slots online from Friday 30th November up to Monday 24th December. Cost: £8-£10* On top of general admission. *Prices change depending on the number of children and adults. A fantastic take on a Nordic style experience, Father Christmas and Mrs Christmas have crash landed and the Cornish elves need help getting the sleigh in the air in time for Christmas Eve. With Christmas crafts, snow angels, caverns and snow covered trees to journey through, lots of energy and magic is needed to reach Father Christmas’s grotto. There are a variety of Christmas memories to be made at a National Trust from armistice remembrance to a Tudor Christmas. Christmas is magical at Cotehele this year with the traditional 60ft long flower garland complemented with beautiful artwork to remember the Armistice. There’ll be carols, a family trail, crafts and Mother and Father Christmas. Enjoy a Victorian Christmas with Father Christmas, festive cooking in the kitchen, traditional Christmas decorations in selected rooms, or follow a bike trail. See the garden illuminated like a Christmas wonderland. There is festive storytelling as you gather around Father Christmas and you can even make your wooden reindeer to take home. Keep an eye out for the real reindeer, too. The barn restaurant is lit with a sky of hundreds of golden stars. Tudor Father Christmas shares some traditional tales and there are lots of craft activities. 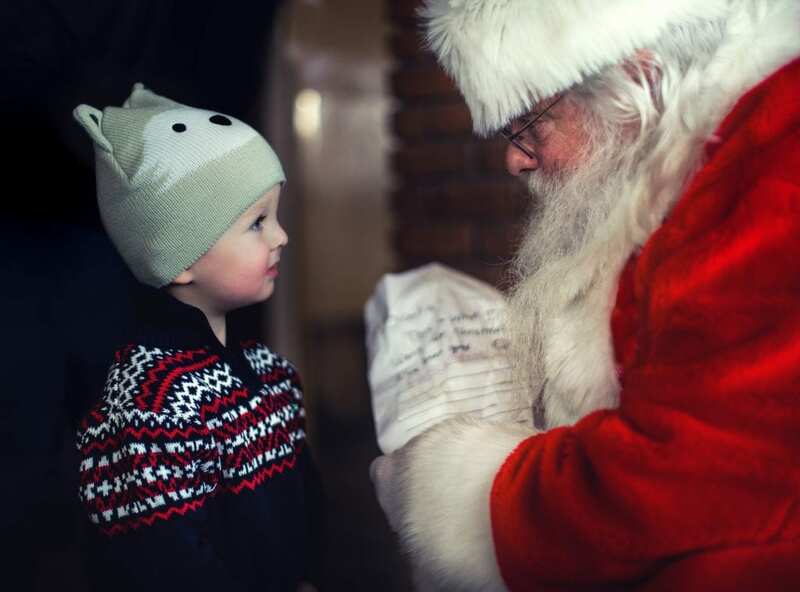 No matter what your age, a visit to see Father Christmas can bring that warm magical glow of excitement that we associate with Christmas, reminding us of the wonderful traditions we grew up with and making new memories for the younger members of our family and friends.